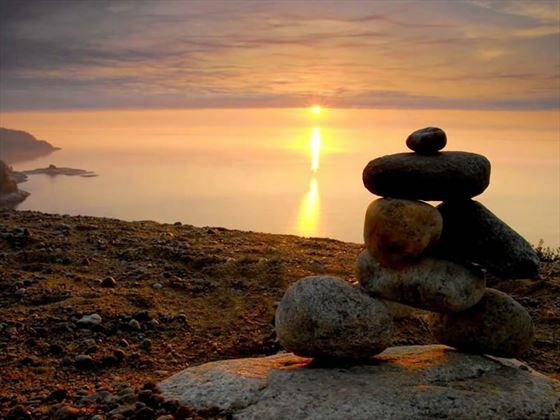 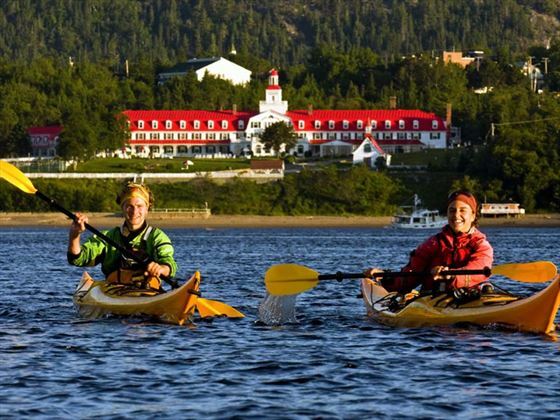 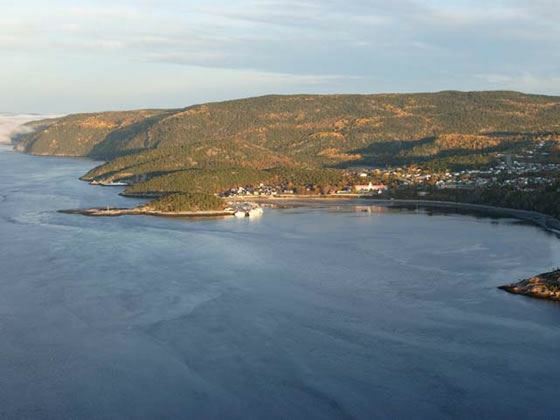 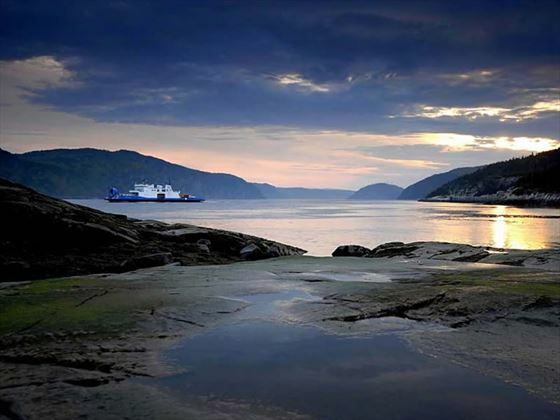 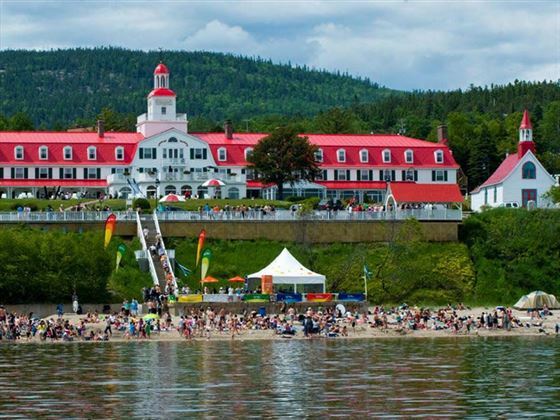 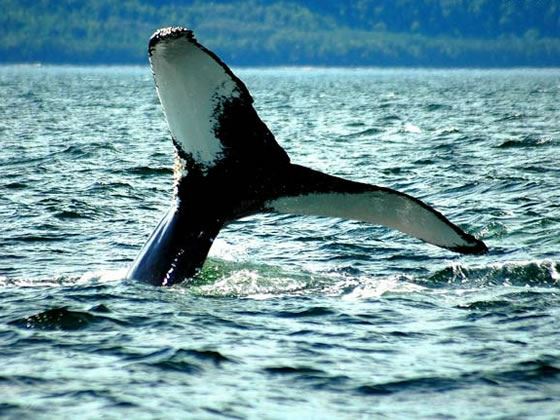 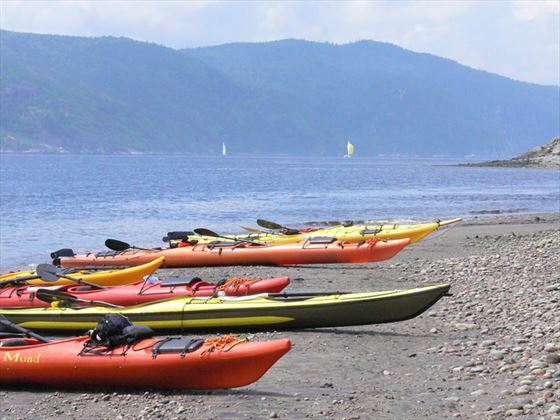 Overlooking the Baie de Tadoussac, Hotel Tadoussac is close to centre-ville, the sandy beach and is a short walk from Centre Commercial Riviere-du-Loup with nearby Parc des Chutes and Club de Golf de Riviere-de-Loup. 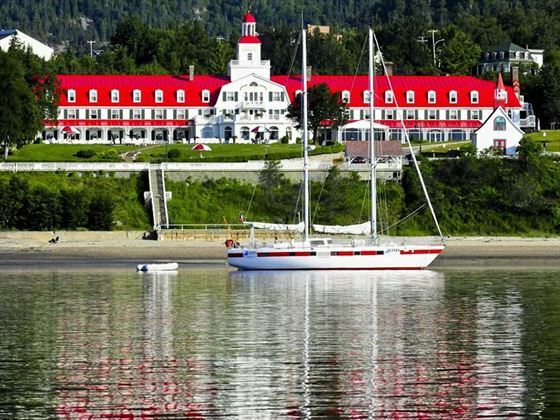 This landmark hotel has been operating since 1864 and features maritime colours with whitewashed walls, a red roof, dormer windows and a cupola marking the centre of the building. 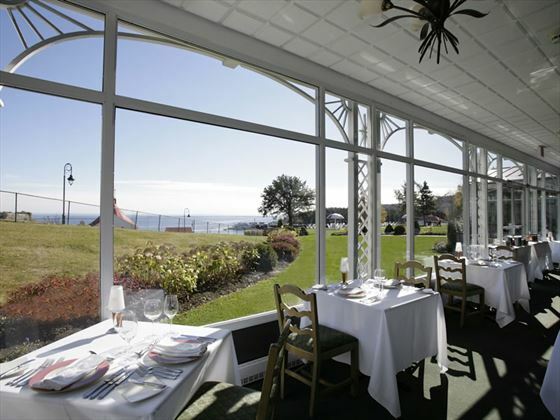 The 149 rooms have casual room furnishings with the cachet of a more romantic era, floral and nautical touches are pleasing to the eye and some have a view of the sea. 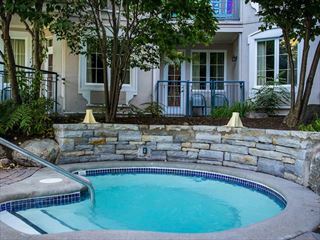 There is a range of great facilities: a seasonal outdoor pool, day spa, tennis courts, mini-golf and a fun seasonal kids club. 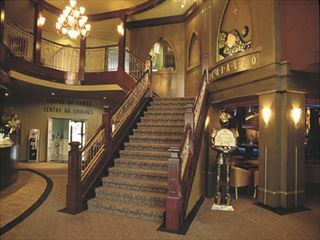 There are two restaurants, Le Rialto is a lovely Italian restaurant with an impressive wine cellar and La Verriere offers international cuisine and craft cocktails. 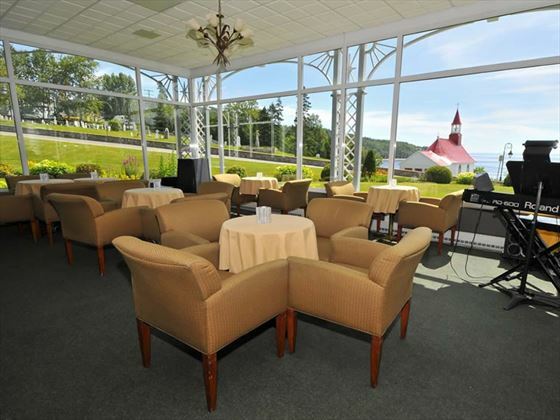 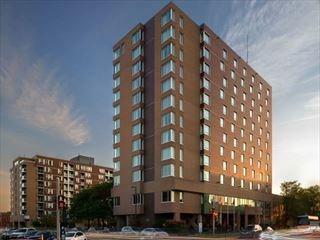 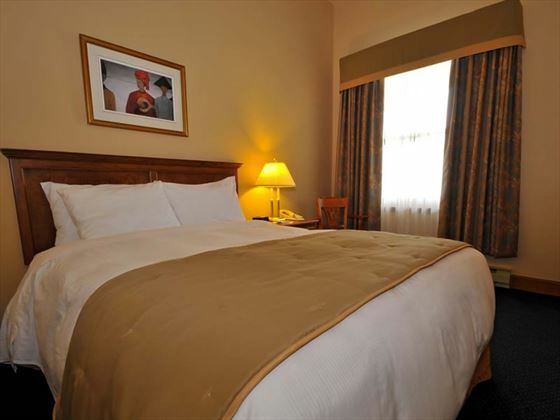 Set close to centre-ville, Hotel Tadoussac is a short walk from Centre Commercial Riviere-du-Loup with nearby Parc des Chutes and Club de Golf de Riviere-de-Loup.